Running, jogging and aerobics are cheap ways to lose weight. However, in the long run, these activities can be monotonous, repetitive and boring. This can affect your motivation and make you lose interest in exercise. To prevent yourself from quitting exercise and workouts altogether, why don’t you try new activities that can spice up your exercise program? Bokwa is a type of group exercise that has no specific choreography and no counting of steps to the beat of the most popular hits on radio. This type of workout is appropriate for all ages. All you have to do is to trace numbers and alphabets with your feet while dancing to the music. Many celebrities are into bokwa such as Robbie Williams. Batuka originated from Brazil and is quite similar to Zumba. However, Batuka’s routines are more complex compared to Zumba. It is a combination of aerobics, Latin dancing and martial arts. If you find Zumba’s repetitive moves boring or you simply want to progress with your workout, then switch to Batuka. It requires higher energy due to its high intensity routines. Masala Bhangra is Hindi in origin. The term “masala” means spicy while Bhangra refers to an Indian folk dance. From the name itself, you can see that this dance workout is meant to spice up a workout routine. Bhangra moves are combined with cardiovascular exercises while fitness enthusiasts dance to the tune of Bollywood music. You might be surprised to know that it actually gained popularity first in the US before finally making its way to India. A Bosu ball is actually fitness equipment that is flat on one side and dome shaped on the other side. Bosu balls are good alternative to step platform or wobble board. Both sides can be used. You can bounce around with ball side up or your can improve core muscles and balance with the flat side up. Yoga and Pilates are two of the most popular exercises in the market today. The principles used combine the best of both exercises. It merges yoga poses and mat exercises as well as increase awareness of one’s body. Doga is one of those quaint exercise programs because it lets you perform Yoga with your pet dog. Most people may sound surprise but dog lovers in the West absolutely love this idea. 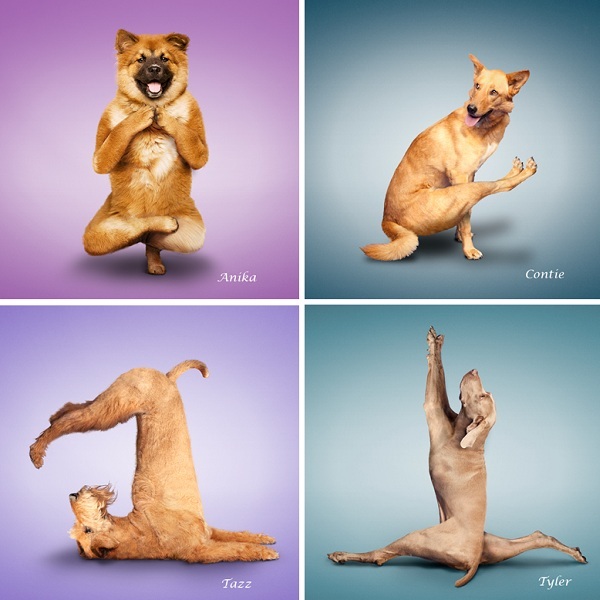 The routines are similar to the usual Yoga poses, whoever, the dog is used as props. However, it would be best to take a small dog with you as some of the moves require you to carry the dog on your back. Move over Zumba! African dance workouts are now taking the country by storm! Some of the hottest dance workouts include the Timbuk, Kukuwa and the Danceafreaka. These dances use the traditional African dance moves for a cardio workout. When it comes to keeping a healthy and well-fit body, you don’t need to be stuck to the same old, boring routines. Motivate yourself with these fun workouts. Learning new routines and program is something to look forward to.